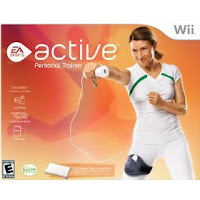 Today’s Amazon Lightning Deal is Wii EA Sports Active – for only $39.77. The regular price of this item is a$59.99 – even in stores. So, this is great deal. I wouldn’t wait if you want this one as they’ll probably sell out quickly!